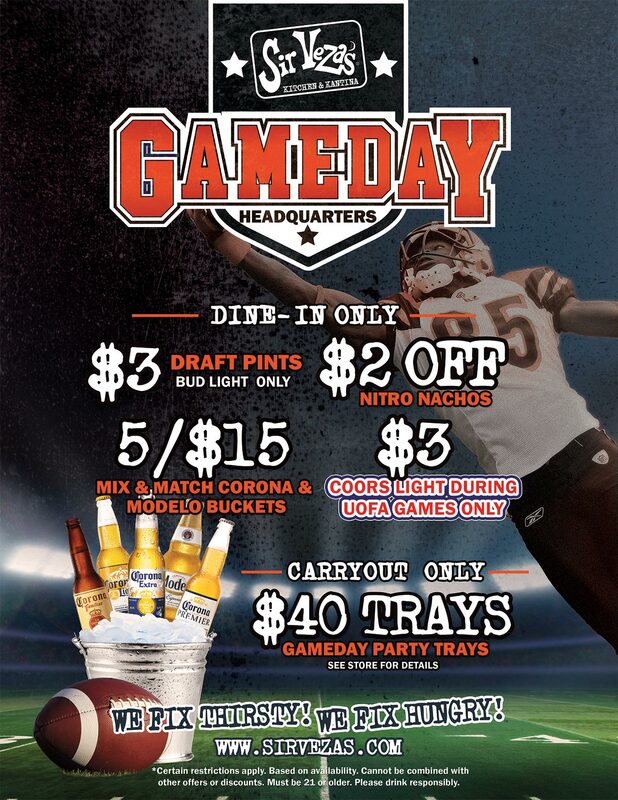 Sir Veza’s is your Gameday Headquarters! *Certain restrictions apply. Based on availability. Cannot be combined with any other offers or discounts. Must be 21 or older. Please drink responsibly.